Blog 6th Annual Animal Shelter Pub Crawl! 6th Annual Animal Shelter Pub Crawl! It’s the most wonderful time of the year again…..Summer and our 6th Annual Pub Crawl Thursday August 6th, 2015 to benefit the Friends of Long Beach Animals organization. This year’s event will once again coincide with the Perform Better Long Beach Summit as we will be Crawling on Thursday August, 6th, 2015 in the popular Long Beach Pike area! This year we will be in true ‘crawling format’ – think scavenger hunt style with a t-shirt, a map, and a mission to visit all the places on our maps then rendezvous at our end-point at a specific time to celebrate together, raffle prizes, and imbibe in a few adult beverages. Even if you can’t make it, you have a chance to donate and be part of something amazing as we plan on breaking our record of $7500 raised last year! FACT: This amount is enough to spay or neuter nearly 350 dogs and/or cats! Please help us break a record and change the lives of hundreds of animals with a simple donation! I want to come to the Pints for Paws Pub Crawl! Count me in for the $50 donation! I would love to SPONSOR this event and show how awesome my company is with my logo emblazoned on the Pup Crawl Shirts and promotion materials for $250! 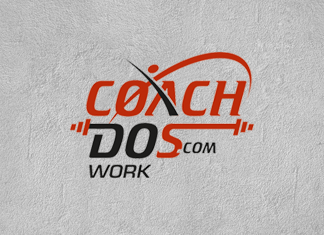 Coach Dos is a sought after international speaker on a variety of conditioning topics such as Program Design, Cardio-Strength Training, Olympic Weightlifting applications, Sport-speed development, Explosive training, and CHAOS™ Speed Training. 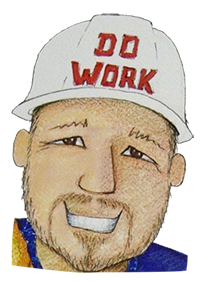 Coach Dos served as Director of Speed, Strength & Conditioning @ College of the Canyons in Santa Clarita, CA, a position he had held from 1999-2015. 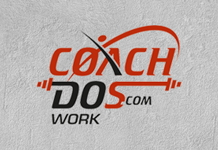 Coach Dos is also the 2006 recipient of the National Strength and Conditioning Association‘s prestigious Collegiate Strength and Conditioning Professional of the year for 2006. This award is given to the top collegiate strength coach in the country (as voted on by his peers). In addition to contributing to Men’s Health magazine on a regular basis, Coach Dos’ first book Men’s Health Power Training (Rodale Books) was released in July 2007 and become a world-wide best seller. His second book, Cardio Strength Training (Rodale Books) is also a best-seller.